b. June 22, 1940, Tehran, Iran. Abbas Kiarostami is the most influential and controversial post-revolutionary Iranian filmmaker and one of the most highly celebrated directors in the international film community of the last decade. (1) During the period of the ‘80s and the ‘90s, at a time when Iranians had such a negative image in the West, his cinema introduced a humane and artistic face. Kiarostami is a graduate of Tehran University’s Faculty of Fine Arts in Painting. He was first involved in painting, graphics and book illustration and then began his film career by making credit-titles and commercials. He founded the film department of the Institute for the Intellectual Development of Children and Young Adults (known as Kanun) where a number of the highest quality Iranian films were produced. He ran the department for five years and at the same time directed his first film, Bread and Alley, in 1970. Making educational films for children at Kanun, a non-commercial organization, helped him form his basic approach to cinema. 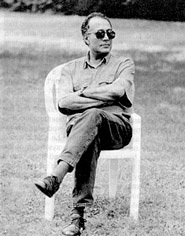 Although Kiarostami made several award-winning films early in his career, it was after the revolution that he earned a highly esteemed reputation on the stage of world cinema. 20 years after his ground-breaking debut feature, Report (1977), he was awarded the prestigious Palme d’Or (Golden Palm) award at the Cannes International Film Festival for his film Taste of Cherry in 1997. His masterpiece Close-Up (1990) and, later, the poetic Life and Nothing More…(1992) led to Kiarostami’s discovery in the West, and only then it was mainly by the French. He won the Un Certain Regard award for the latter at Cannes. Kiarostami belongs to a generation of filmmakers who created the so called “New Wave”, a movement in Iranian cinema that started in the ‘60s, before the revolution of 1979 and flourished in the ‘70s. (2) Directors like Farrokhzad, Saless, Bayzai, and Kimiavi were the pioneers of this movement. They made innovative art films which had highly political and philosophical tones and poetic language. Some, like Saless (who is compared to Bresson), introduced a realist (minimal plot, non-dramatic) style, while others, like Kimiavi (known as the Iranian Godard, mixing fantasy and reality), employed a metaphoric form. What distinguishes Kiarostami’s style is his unique but unpretentious poetic and philosophical vision. Not only does he break away from conventional narrative and documentary filmmaking, he also challenges the audience’s role. He plays with their expectations and provokes their creative imagination. His films invite the viewer to reflect, confront stereotypes, and actively question their assumptions. In Taste of Cherry, the reason for Mr. Badii’s suicide is not given to the viewer. Consequently, the audience has to imagine that reason. In Kiarostami’s words, the untold or unexplained parts of his films are created in the minds of his audience. What is presented as obscure or hidden becomes clear and apparent through the audience’s imagination (for example, characters’ motivations and inner worlds). In this way, the audience member becomes responsible for the clarity that she/he expects from the film. In Taste of Cherry, the shift from narrative to documentary not only adds another layer to the film but separates and distances the audience and therefore creates a space for his/her presence in the film. For example, in the final sequence, where the hero lies in his grave, a long fade shifts the film from the narrative section to a behind-the-scenes documentary (shot on video) where we see Kiarostami and his crew. The long fade becomes a trigger for viewers to start feeling their own presence, as well as a mirror to see themselves in. It also motivates them to think about the ways they can understand the shift from the narrative to the documentary, as well as the change in formats from film to video. Kiarostami, in his movement towards a plotless cinema and a minimal and elliptic compressed narrative, has also used the dark screen in a number of his films, serving similar goals in terms of the audience’s involvement. The dark scene in the cellar where the young village girl is milking the cow while the hero is citing Forough’s poetry to her in The Wind Will Carry Us (1999), and the seven minute black scene in A.B.C. Africa (2001) where we hear Kiarostami talk, beautifully challenge the audience’s expectations as well as celebrating the creative use of sound. This striking moment in ABC Africa occurs when Kiarostami stops talking as he enters his room in complete darkness. We hear him drawing the window’s curtain but we don’t see anything for awhile. Suddenly a lightning bolt reveals the view of trees for a second. The image has become magical because it is delayed and anticipated for a long time. Another way that Kiarostami invites the creative participation of his audience can be seen in his film Close-Up, where he interrupts and undermines the expected dramatic flow of the story-line with minor characters whose lives are not considered dramatic or important. He also mixes fact and fiction in such a way that it is impossible to separate the two. The non-chronological order of the scenes in the film which offer different points-of-view urge the audience to make sense of the story (putting it in their order), as well as asking them to judge the characters on their own terms. 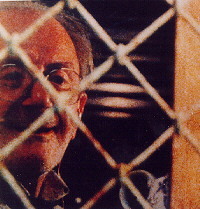 Close-Up contains many key elements of Kiarostami’s cinema. The main character is innocent yet corrupt. Although here, unlike in Traveler (1974) or The Wind Will Carry Us, he is sympathetic. Both behind-the-scenes and within the frame, Kiarostami is self-critical as a filmmaker. We see him in the opening scene talking to the hero in prison and toward the end we hear him talking to his crew. In Homework (1990) he interviews the children and in Case No. 1 and Case No.2 (1979) he interviews a number of cultural authorities. 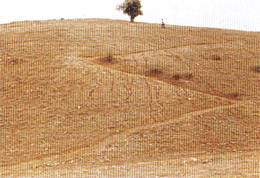 The filmmaker, though as a fictional character, appears again in Through the Olive Trees (1994), Life and Nothing More… and The Wind Will Carry Us. This self-conscious cinema is a double-edged sword. It can be read as a self-critical cinema where Kiarostami questions his role as a filmmaker. Also, it can be seen as a means to distance the audience and make them conscious. What is so specific in Kiarostami’s style is his attention to form and the role it plays in creating poetry and humor in his films. As Tati demonstrates, and as observed by Jonathan Rosenbaum, form plays a major role in creating cinematic humor. (4) What is normally non-humorous is seen and heard as humorous, ridiculous, or absurd through Kiarostami’s films. Similar to Tati’s Playtime (1967), Kiarostami’s fantastic short Orderly or Disorderly (1981) derives its power and humor through shot composition, the use of sound, and, in particular, Kiarostami’s voice over. The high angle long shots of the children in the school-yard lining up to drink water or getting on the bus, as well as the impatient drivers who complicate traffic in a Tehran intersection, reveal the humorous nature of chaos and order in public spaces. Also, form as a zigzag pattern is emphasised through shot composition or camera movement. For example, the recurrent image of zigzagging roads in his films has become a philosophical and metaphysical statement as well as revealing the general situation of his characters. The zigzag path in Where is the Friend’s House? (1987) shows the many turns that the child has to take in order to find his friend. Similarly, the man who is driving on the hilly roads in Taste of Cherry is looking for someone to bury him. In Life and Nothing More…, the filmmaker has to find two children who acted in his previous film, following a deadly earthquake that shook northern Iran. Even sometimes the zigzagging movements of an object like an apple in The Wind Will Carry Us or the empty spray can in Close-Up show the randomness of fate. They are practically Kiarostami’s signatory shots. Kiarostami’s later films, especially the three films that are known as a trilogy, Where is the Friend’s House?, Through the Olive Trees, and Life and Nothing More…, have a strong emphasis on landscape and architecture, revealing Kiarostami’s philosophical point-of-view. The beautiful view of trees revealed through the ruins of the village in Where is the Friend’s House?, the long shot of the cracked road in Life and Nothing More…, and the long shot of the wheat field in The Wind Will Carry Us, remind the audience of the beauty that the main character ignores. 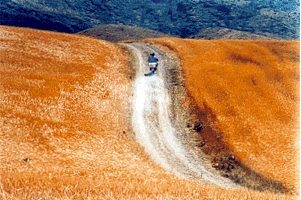 As Kiarostami gradually moves toward nature and rural characters and settings, the landscape shots become more instrumental in the structure of his post-revolutionary films. Although Kiarostami uses small crews and mainly non-actors and no script, his recent documentary feature A.B.C. Africa signals the emergence of a new approach. It is his first film that is shot outside Iran and on digital video. The film is predominately shot in English, saturated in colour, and has wall-to-wall music. Unlike most of his previous films, A.B.C. Africa is populated with strong women characters – a sharp contrast to his previous films, where the absence of women was noticeable. One can view this as another movement in his cinema that has started mainly with The Wind Will Carry Us and is continued in his most recent film, Ten (2002), films which feature mainly women characters. Kiarostami’s cinema celebrates the economy of film language and offers an alternative to the fancy, excessive mainstream cinema. A controversial characteristic of his films is how they encourage the audience to reflect and creatively participate in them. His films challenge viewers’ stereotypes and make them aware of their own blind spots. A refreshing experience of watching Kiarostami’s films is how they resist giving an expected, homogeneous, or exotic “third-world” image of Iranian culture to the audience. Each of his films, even those that are shot in the remote rural areas of Iran, reflect McLuhan’s concept of the “global village” and our disillusion of the image of “self” as separate, immune, and distant from the “other”. Bread and Alley (Nan-O Kuche) (1970, short) Prod: Kanun. Sc: Taghi Kiarostami. DP: Mehrdad Fakhimi. Ed: Manuchehr Oliai. Sound: Harayer Ateshkar. Music: Paul Desmond, “Ob-la-di, ob-la-da”. Cast: Reza Hashemi, Mehdi Shahranfar. 10 min. 45 sec. B&W, 35mm. Jahan Nama Palace (Ghasr-e Jahan Nama) (1972, documentary short) 31 min. Colour, 16 mm. Recess/Breaktime (Zang-e Tafrih) (1972, short) Sc: Abbas Kiarostami (based on a story by Masud Madani). DP: Ali-Reza Zarrindast, Morteza Rastegar. Ed: Rouhollah Emami. Sound: Harayer. Cast: Cyrus Hassanpour. 14 min. 45 sec. B&W, 35mm. The Experience (Tajrobeh) (1973, short feature) Prod: Kanun. Sc: Abbas Kiarostami (based on a story by Amir Naderi). DP: Ali-Reza Zarrindast. Ed: Mehdi Rejaian. Cast: Hassan Yar-Mohamadi, Parviz Naderi, Andre Guvalovich. 60 min. B&W, 35mm, 1973. The Traveler (Mosafer) (1974, short feature) Prod: Kanun. Sc: Abbas Kiarostami (based on a story by Hassan Rafie). D.P: Fruz Malekzadeh. Music: Kambiz Rushanavan. Ed: Amir-Hossein Hesami. Cast: Hasan Darabi (Qasem), Massud Zand Pegleh, Mostafa Tari. 71 min. 25 sec. B&W, 35mm. Two Solutions for One Problem (Do Rah-e Hal Baray-e Yek Masaleh) (1975, short) Prod: Kanun. Sc/ed: Abbas Kiarostami. DP: Morteza Rastegar. Sound: Changiz Sayad. Asst. dir: M. Haji. Cast: Sahid and Hamid. 4 min. 25 sec. Colour, 35mm. So Can I (Manam Mitunam) (1975, short) Prod: Kanun. Sc/ed: Abbas Kiarostami. DP: Mostafa Haji. Sound: Harayer, M. Haqiqi. Music: Nasser Cheshmazar. Animation: Farzaneh Taghavi. 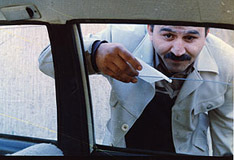 Cast: Kamal Riahi, Ahmad Kiarostami. 3 min. 30 sec. Colour, 35mm. The Colours (Rangha) (1976, short) Prod: Kanun. Sc/ed: Abbas Kiarostami. DP: Morteza Rastegar, Mostafa Haji. Sound: Changiz Sayad. Cast: Shahin Amir-Arjomand. 15 min. Colour, 35mm. The Wedding Suit (Lebasi Baray-e Arusi) (1976, short feature) Prod: Kanun. Sc: Abbas Kiarostami, Parviz Davai. DP: Foirouz Malekzadeh. Ed: Mousa Afshar. Asst. dir: Ahmad Mirshekari. Executive producer: Ebrahim Foruzesh. Cast: Mohammad Fazih Motaleb, Massud Zand Begleh, Mehdi Nekui. 57 min. Colour, 35mm. Tribute to the Teachers (Bozorgdasht-e Moallem) (1977, short) 20 min. How We Should Use Our Free Time (Az Oghat-e Faaghat-e Khod Cheguneh Estefadeh Konim) (1977, short) 7 min. Report (Gozaresh) (1977, feature) Prod: Bahman Farminara. Sc: Abbas Kiarostami. D.P: Ali-Reza Zarindast. Ed: Mah-Talaat Mirfendereski. Sound: Yusef Shahab. Cast: Shohreh Agdashlu (wife), Kurosh Afsharpanah (Mohammed), Mostafa Tari. 112 min. Colour, 35mm. Solution (Rah-e Hal) (1978, short) Prod: Kanun. Sc/ed: Abbas Kiarosatmi. DP: Firuz Malekzadeh. Sound: Changiz Sayad. 11 min. 55 sec. Colour, 16mm. Case No. 1, Case No. 2 (Qazih-e shekl-e aval, dovom) (1979, documentary) Prod: Kanun. Ed: Abbas Kiarostami. D.P: Baharalu. Sound: Changiz Sayad. Asst. dir: Naser Zera’ati. 53 min. Colour, 16mm. Toothache (Dandan-e dard) (1980, short) Prod: Kanun. 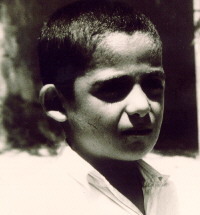 D.P: Firuz Malekzadeh. Sound: Changiz Sayad. 24 min. Colour, 16 mm. Orderly or Disorderly/Regularly or Irregularly (Be Tartib Ya Bedun-e Tartib) (1981, short) Prod: Kanun. Sc:Abbas Kiarostami. Sound: Changiz Sayad. 15 min. Colour, 35 mm. The Chorus (Hamsorayan) (1982, short) Prod: Kanun. Ed: Abbas Kiarostami. Sc: Abbas Kiarostami (based on a story by Mohammad Javad Kahnamoie.) D.P: A.R. Zarindast. Sound: Ahmad Asgari, Changiz Sayad. Asst. dir: Naser Zera’ati. Cast: Yusef Moqaddam, Ali Asgari, Teymur and children from Rasht. 17 min. Colour, 35mm. Fellow Citizen (Hamshahri) (1983, short documentary) Prod: Kanun. Sc: Abbas Kiarosatami. D.P: Firuz Malekzadeh. Sound: M. Haqiqi. Cast: Reza Mansuri (traffic cop). 53 min. Colour, 16 mm. First Graders (Avaliha) (1985, documentary feature) Prod: Kanun. Sc/ed: Abbas Kiarostami. D.P: Homayun Payvar. Sound: Changiz Sayad. Cast: teachers, staff, and pupils at the Tohid School. 85 min. Colour, 16 mm. Where is the Friend’s House?/Where is the Friend’s Home? (Khaneh-ye dust kojast?) (1987, feature) Prod: Kanun. Sc/ed: Abbas Kiarostami. D.P: Farhad Saba. Executive producer: Ali-Reza Zarrin. Cast: Babak Ahmadpur, Ahmad Ahmadpur. 92 min. Colour, 35mm. Homework (Mashgh-e Shab) (1990, documentary feature) Prod: Kanun. Sc/ed: Abbas Kiarostami. D.P: Iraj Safavi, Ali Asghar Mirza. 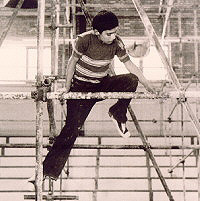 Music: Mohammad-Reza Aligholi. Research: Saeed Dolatabadi. Executive prod: Ali-Reza Zarrin. 86 min., Colour, 16mm. Close-Up (Namay-e Nazdik) (1990, docudrama feature) Prod: Kanun. Sc/ed: Abbas Kiarostami. D.P: Ali-Reza Zarrindast. Executive prod: Ali-Reza Zarrin. Music: Kambiz Roushanavan (theme from The Traveler). Cast: Hossein Sabzian, Mehrdad Ahankhah, Houshang Shamai, Mohsen Makhmalbaf, Hassan Farazmand. 102 min. Colour, 35mm. Life and Nothing More…/…And Life Goes On ( …Va Zendegi Edameh Darad) (1992, feature) Prod: Kanun. Sc: Abbas Kiarostami. D.P. : Homayoun Pievar. Ed: Abbas Kiarostami. Sound: Changiz Sayad. Executive prod: Ali-Reza Zarrin. Music: Vivaldi. Cast: Farhad Kheradmand, Puya Pievar, Hossein Rezai, inhabitants of Rudbar and Rostamabad. 91 min. Colour, 35mm. Through the Olive Trees (Zir-e Derakhtan-e Zeytun) (1994, feature). Prod//sc/ed: Abbas Kiarostami. D.P: Hossein Jafarian, with Farhad Saba, Bahram Badakhshani, Farzad Jodat. Sound: Mahmud Samakbashi. Asst. dir: Jafar Panahi. Cast: Mohammad-Ali Keshavarz, Farhad Kheradmand, Hossein Rezai, Tahereh Ladanian. Music: Vivaldi. 103 min. Colour, 35mm. A Propos de Nice, la suite (1995, feature of sketches). Prod: Margo Films (France). 105 min., colour, 35 mm. French language. A film of several episodes, each inspired by Jean Vigo’s experimental documentary about Nice (A Propos de Nice, 1930). The other directors and writers – apart from Kiarostami and Parviz Kimiavi, who collaborated on one episode entitled “Reperages” – are Catherine Breillat, Costa-Gavras, Clare Denis, Raymond Depardon, Jean-Marie G. Le Clezio, Pavel Lounguine, and Raul Ruiz. Birth of Light (Tavalod-e Nur) (1997, short) Prod: Waka Film. 5 min. Taste of Cherry/The Taste of Cherry (Tam-e Gilas) (1987, feature) Prod/ed: Abbas Kiarostami. D.P: Homayoun Pievar. Cast: Homayoun Ershadi (Mr. Badii), Abdolhossein Bagheri, Afhshin Khorshid Bakhtari. Music: Louis Armstrong, “St. James Infirmary” (trumpet solo only). 99 min. Colour, 35mm. The Wind Will Carry Us (Baad Mara Khahad Bord) (1999, feature) Prod: Marin Karmitz (MK2 Productions), Abbas Kiarostami. Ed: Abbas Kiarostami. Sc: Abbas Kiarostami, based on an idea by Mahmud Aidin. D.P: Mahmud Kalari. Sound. Recordist: Jahangir Mirshekari. Sound Mixer: Mohammad-Reza Delpak. Music: Peyman Yazdanian. Asst. Dir: Bahman Ghobadi. Cast: Behzad Dorani and the inhabitants of a Kurdish village. 118 min. Colour, 35mm. A.B.C. 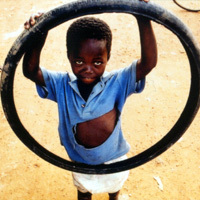 Africa (2001, documentary feature) Asst. dir: Seiffollah Samadian. D.P/ed: Abbas Kiarostami and Seiffollah Samadian. Music: unidentified guitar and local Ugandan music, “Blue Danube Waltz” (Strauss). 84 min. Colour, digital video transferred to 35mm. Dah (Ten) (2002, feature) Prod: Marin Karmitz (MK2 Productions), Abbas Kirastomi. Ed: Vahid Ghazi, Abbas Kiarostami, Bahman Kiarostami. Sc: Abbas Kiarostami. D.P. : Abbas Kiarostami. Mania Akbari (Driver), Amin Maher (Amin). 91 min. Colour, digital video transferred to 35mm. 10 on Ten (2004, documentary feature) Prod: Marin Karmitz (MK2 Productions), Abbas Kiarostami. 87 min. Colour, digital video. Five (2003, documentary feature) Prod: Behnegar, NHK, MK2 Productions. D.P. : Abbas Kiarostami. Ed: Abbas Kiarostami. 74 min. Colour, digital video. Tickets (2005, feature, co-directed with Ken Loach and Ermanno Olmi) Prod: Carlo Cresto-Dina, Babak Karimi, Rebecca O’Brien, Domenico Procacci. Kiarostami episode: Sc: Abbas Kiarostami. D.P. : Mahmoud Kalari. Ed: Babak Karimi. Cast: Blerta Cahani (Girl), Kladj Qorraj (Boy), Aishe Gjuriqi (Mother), Sanike Dedja (Grandmother). 109 min. Colour, 35mm. Shirin (2008, feature) Prod: Abbas Kiarostami, Hamideh Razavi. Sc: Abbas Kiarostami. D.P. : Mahmoud Kalari. Ed. : Abbas Kiarostami, Arash Sadeghi. 92 min. Colour, digital video transferred to 35mm. Copie conforme (Certified Copy) (2010, feature) Prod: Angelo Barbagallo, Charle Gillibert, Nathanaël Karmitz, Abbas Kiarostami. Sc: Caroline Elaicheff, Abbas Kiarostami. D.P. : Luca Bigazzi. Ed: Bahman Kiarostami. Cast: Juliette Binoche (Elle), William Shimell (James Miller), Jean-Claude Carrière (The Man in the Square), Agathe Natanson (The Woman in the Square), Gianna Giachetti (Café Owner). 106 min. Colour, digital video transferred to 35mm. Like Someone in Love (2012, feature) Prod: Abbas Kiarostami, Charles Gillibert, Nathanaël Karmitz. Sc: Abbas Kiarostami. D.P. : Katsumi Yanagijima. Ed: Bahman Kiarostami. Cast: Tadashi Okuno (Takashi Watanabe), Rin Takanashi (Akiko), Ryô Kase (Noriaki). 109 min. Colour, digital video. 2001: For a video installation presented at the Venice Biennale, Kiarostami taped a sleeping young couple, and projected their life-size image for 100 minutes on a bed with pillows and sheets in an actual room. Strictly Film School’s offering features reviews of Close-Up, Through the Olive Trees, Taste of Cherry and The Wind Will Carry Us. A page from the World Socialist Web Site, David Walsh interviews the director upon the film’s release in 1994. Jonathan Rosenbaum reviews Taste of Cherry. Online version of the article originally published in Film International, Autumn 1994. Online version of the article originally published in Film International, Winter 1995. Good overview of some of the director’s major works. Transcript of forum featuring Abbas Kiarostami, Ali Akbar Mahdi and Bill Horrigan. This piece originally appeared in The Iranian at the time of Taste of Cherry’s release. IndieWire interviews Kiarostami at the time of this documentary’s release. Article by Godfrey Cheshire on the new-found worldwide popularity of the director following his Palme d’Or at Cannes in 1997. This site features a filmography, biography, an article, an interview and information on his shorts. Insightful site dedicated to the woman whose poem inspired The Wind Will Carry Us. Features Karim Emami’s article “Recollections and Afterthoughts”. Film Comment’s poll of the ‘90s (Vol. 36, No.1, Jan/Feb 2000) showed that Kiarostami is the most respected and popular filmmaker in the world’s film community. 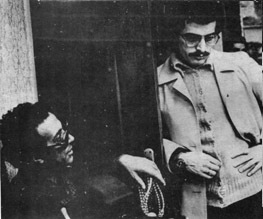 Other major “New Wave” filmmakers include: Dariush Mehrjui, Kamran Shirdel, Amir Naderi, Bahman Farmanara, Amir Naderi, Naser Taghvai, Masud Kimiai, Fereydoun Rahnama, Farrokh Gaffari, Hagir Dariush, Khosrow Haritash, and Arbi Avanesian. Kiarostami has used this phrase often, including in the interview “The Goal: Eliminate Directing”, Film Monthly (in Persian), No, 168, January 1994, p.120. 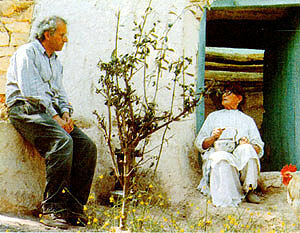 Mehrnaz Saeed-Vafa and Jonathan Rosenbaum, Abbas Kiarostami (University of Illinois Press, forthcoming: September 2002). Mehrnaz Saeed-Vafa is a filmmaker, a teacher at the Department of Cinema Art and Science, Columbia College, Chicago, and Artistic Consultant of the Iranian Film Festival, Film Center, Chicago since 1989.